Connecticut Commentary: Red Notes from a Blue State: A Kennedy For Connecticut? Among other long term considerations, Mr. Kennedy may be pondering the quickest route to the U.S. Congress. Hillary Clinton, the wife of President Bill Clinton, ran for the U.S. Senate from New York after Daniel Patrick Moynihan retired. She then ran for President, losing to current President Barack Obama, who appointed her Secretary of State, a ramp that some hope may lead to the presidency. In Mrs. Clinton’s case, straight was the gate and narrow the way. Mr. Kennedy, however, will find his way to higher office blocked by Connecticut’s two newly minted U.S. Senators, Richard Blumenthal and Chris Murphy. Connecticut’s Senior U.S. Senator Blumenthal is but a babe in swaddling clothes, having been elected to the chamber only four years ago. Mr. Blumenthal replaced a U.S. Senator of thirty years standing, Chris Dodd, and Mr. Murphy replaced a Senate fixture of twenty-four years standing, former U.S. Senator Joe Lieberman. Turnover in the U.S. Senate is infrequent. The advantages of incumbency have made it very difficult for challengers to unhorse any U.S. Congressman. Unless the grim reaper intervenes, Congressional positions do not often open up – even for Kennedy’s. Term limits would solve this problem and, at the same time, recirculate politicians in what has become, for lack of a better word, a closed shop. 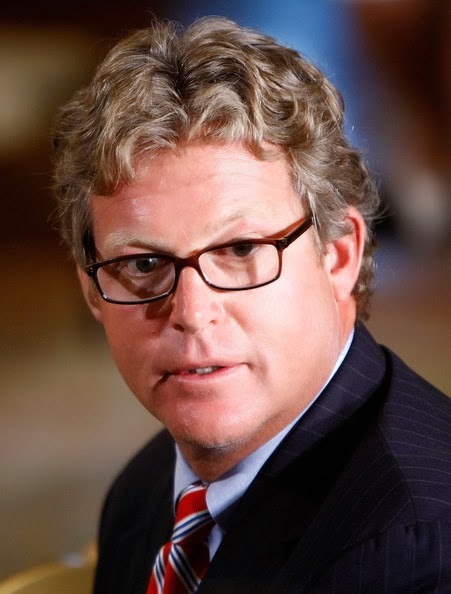 The possibility that either Mr. Blumenthal or Mr. Murphy might surrender their seats so that Connecticut might become, like Massachusetts, a political nesting place for the large Kennedy brood, is remote. There will be no room in the all Democratic U.S. Congressional delegation for future House members, and Governor Dannel Malloy very likely will continue in office until Hell freezes over. So then, Mr. Kennedy probably would do better to plant his flag in some other receptive state – if he has his mind set on national service in Washington D.C.
As a last resort, Mr. Kennedy might consider quietly changing his party affiliation to Republican, in which case the world of Connecticut politics would be his oyster. There are plenty of Republican spots open in Connecticut’s U.S. Congressional delegation, and a change in affiliation is easily done. Mr. Meyer himself served in the Republican Party in New York, and it did not hurt his political prospects a bit. In Mrs. Clinton’s case, straight was the gate and narrow the way. Everything being relative lo these past 100 years or so, it appears to me that the problem is not so much the narrow gate and way, but the candidate's inordinately wide load. She ain't no way tired, knows at this point what difference it makes, and will press the reset button on her campaign to be National Executive. If we could, as we should, re-amend the Constitution to restore the U.S. Senate to its original function representing the states, perhaps the Kennedy fellow would stand a chance to replace Blumenthal in a couple of years. The Dems in the State legislature might go for a younger law school grad, even if he never served in Vietnam. Certainly, Ted Jr. would have had a very good chance of replacing Senator Lieberman after he did whatever it was he did to infuriate the Nutmeg moonbat community. Just what we need, another scion of the worthless Kennedy clan, and son of the Chappaquidick Swimmer, who thinks his name entltles him to a seat in the CT General Assembly. Send this carpetbagger back to MA so the catagion doesn't spread. I would rather Mr Kennedy plant a flag on the Moon. Please, we are Constitutional Republic, not a Monarchy. For the sake of the country, no more Bushes, Clintons, Kennedys and dear God, no more candidates named Obama.